Life energy is what we are and what everything else is made of; it is what enlivens us. When this life energy is depleted, out of harmony or altered by illness, stress or emotional imbalance, it leads to increasingly more problems. Reiki makes it possible to influence the balance of the life force energy and bring a person back to a more harmonious state. In turn, this state encourages the natural ability of the body, mind and spirit to heal, to be at peace, and to connect more fully. Reiki is a complimentary therapy to any other allopathic (conventional) treatment and as such is increasingly being utilized in clinical and medical settings. Why? It helps the individual in all situations by introducing another dimension to their overall state of energetic balance and therefore to their state of health. Reiki is also very useful as a preventative therapy. Keeping the energy in balance is strengthening and encourages resiliency. Regular Reiki treatment is highly beneficial and it enhances the quality of life. Reiki essentially re-balances and harmonizes the energetic flow within an organism. Reiki is good for every living thing. The word Reiki comes from two Japanese words, Rei and Ki (pronounced RayKey). Rei can be translated to mean universal, and in a deeper sense represents Creative Consciousness or spiritual concepts. Ki is a term referring to energy. Like chi, prana, and vital life force, this refers to the energy that animates and permeates all things. Reiki therefore means universal or spiritual life force energy. What sets Reiki apart from other energy medicine techniques is its particular ability to guide the higher vibration of Creative Consciousness frequency energy. The Creative Consciousness of Reiki is the factor that allows Reiki to go into an organism and to flow where balance is most needed and appropriate. The Reiki practitioner does not diagnosis or use specific treatment plans or specialized medical knowledge. They simply facilitate opening the flow. Reiki is therefore both a method and a specific type of energy. Reiki is an action word! During a session, a Certified Reiki Practitioner is trained to direct a current of life supporting Universal Life Force Energy to you through their hands. The receiver simply relaxes and allows the energy to be accepted. Even if you are skeptical, the energy will still flow to you. The practitioner will place their hands at various positions over your body and you will likely feel warmth and a deep sense of relaxation and peace as the session progresses. You will lie fully clothed on a massage table or if necessary, you can sit upright in a chair. The length of a session is usually 50 to 60 minutes. 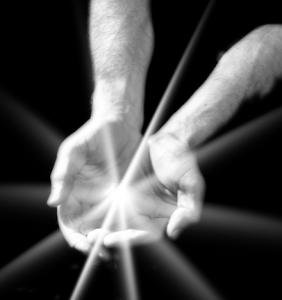 The Reiki experience is not easily described because each individual’s sense of Reiki energy differs. What are most consistent are a profound sense of relaxation, and a feeling of well being. Some people report pain relief; accelerated healing; lowered blood pressure; sounder sleep and the alleviation of stress symptoms. Others find spiritual comfort and emotional calm. What is most important for you to know if you are considering a treatment is that Reiki does no harm, is perfectly safe, and is not dependent upon any one specific doctrine or religious belief. It is helpful. It is comforting. It is truly a therapy that is all embracing and accepting and each individual comes away in a more balanced state of being. $60 full session. Call today to book your appointment! 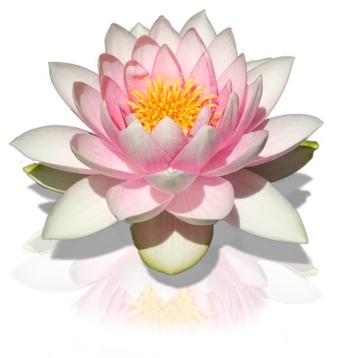 My name is Pam and I completed my Reiki 1 and 2 classes at Energy Connection. I suffer from a condition called Restless Leg Syndrome. It was so severe that I was eventually sent to John Hopkins Medical Center. My physician informed me that the medication I was taking for the last 15+ years was making my condition worse. I had to quit taking it and go through a 10 day withdrawal period. I gave myself Reiki 2-3 times a day. It was so comforting and calming. I believe the severity of my withdrawal was lessened by Reiki. I feel very fortunate to have learned such a powerful method of healing. I love Reiki !!! I use Reiki on my massage clients and I believe we are both all the better for it. The benefits of Reiki are endless, I am always discovering new and unique ways of using it. I am looking forward to becoming a Reiki Master in the near future.